Sunset Dodge Chrysler Jeep Ram FIAT is a leading FIAT dealership in Sarasota, Florida that's proud to bring its customers a wide selection of new and used FIAT vehicles. If the idea of fully purchasing a vehicle is giving you cold feet, however, you'll be glad to know that we also offer a wide variety of affordable FIAT lease opportunities. With lower monthly payments, a smaller down-payment, and more predictable maintenance-related costs, a FIAT lease also provides you with a greater degree of financial stability that's an excellent option for drivers with smaller cash flow. An auto lease can be a highly affordable avenue so long as you're responsible with the use of your vehicle and don't significantly exceed the mileage limitations outlined in your car lease agreement. Curious whether a car lease is right for you? Visit our Sarasota, FL FIAT dealership to find out! 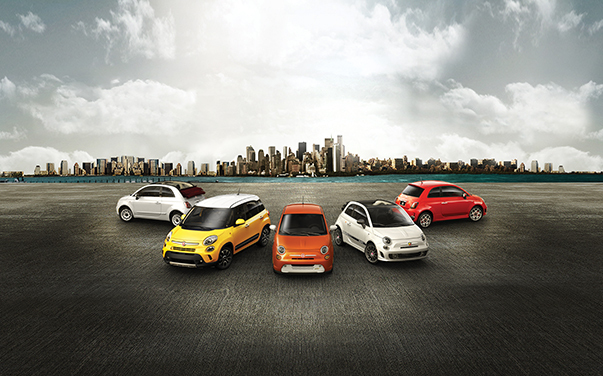 As the pinnacle of innovative Italian design, it's hard not to love our stunning selection of FIAT vehicles. At our Sarasota, FL FIAT dealership, you'll discover award-winning vehicles like the FIAT 500, a peppy subcompact car that thrives whether you're commuting down I-75 or exploring downtown. With comparable utility in an urban setting but with added versatility, the FIAT 500X is an excellent SUV for urbanites with a taste for adventure. Of course, if you're looking to maximize the thrill of your driving experience, look no further than the FIAT 124 Spider, an agile convertible sports car widely lauded for its nimble handling, superb fuel economy, and clean European styling. A FIAT lease from Sunset Dodge Chrysler Jeep Ram FIAT grants you the ability to get behind the wheel of any of these outstanding vehicles, without the financial burden of a full-on purchase. It doesn't get much better than that! If you're looking to finance your next vehicle, you can count on the Sunset Dodge Chrysler Jeep Ram FIAT auto finance center to help you optimize your finances and secure you a low-rate auto loan. With the years of experience and extensive connections held by our skilled auto finance professionals, we'll help you minimize your financial stress so you can fully enjoy every moment of your driving experience. Using the tools on our website, you can even value your trade-in, calculate your monthly payments, and apply to be pre-approved for FIAT financing. Get started today by filling out the auto finance application on our website! If you have any questions along the way about our FIAT financing and FIAT lease opportunities, just call our sales line and a Sunset Dodge Chrysler Jeep Ram FIAT representative will gladly assist you. We hope to see you soon at our FIAT financing center in Sarasota, FL!